If you want to affirm life … every day, every time, consider starting a career with Heart ‘n Home! 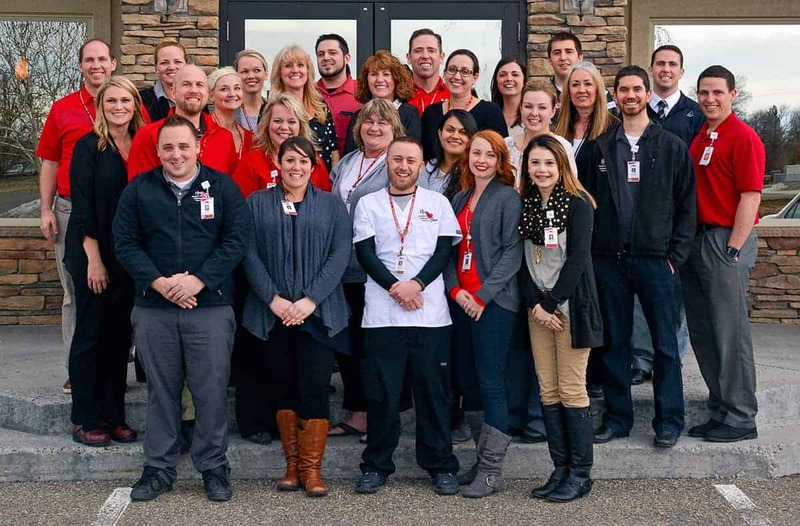 We believe our employees are our most valuable assets. Everything that Heart ‘n Home is, or will be, is grounded upon our employees and their alignment with the Heart ‘n Home Family Core Values. When aligned, there is nothing that we can’t do. Heart ‘n Home is continually striving to create an organizational culture that is founded upon value-based leadership where employees are recognized for their achievements, encouraged to innovate, and inspired to create a patient care experience that’s not only great, but LEGENDARY! They strive so hard to be the very best and to inspire those around them to do the same. The Family Core Values that our employees embrace. The Mission and Vision Statements Heart ‘n Home has set forth to fulfill. Heart ‘n Home Leadership Teams who strive to listen, support, and inspire their team members and build meaningful relationships. Our achievements have been a great testament to our mission, vision, and culture. The Standards of Behavior, which includes our Dress Code, are an extension of our values. The extensive training and education provided to employees. The Heart ‘n Home Volunteers, who are a part of our family. Bringing great purpose and worthwhile work to our communities. Meet our Heroes! Heart ‘n Home has a rich history of military service which allows our staff to have an appreciation and understanding of military culture.